Free OCR to Word is a text recognition solution that performs all your tedious retyping work in no time. It converts any image or scanned document to editable Word document without modifying the original logical structure and schema. 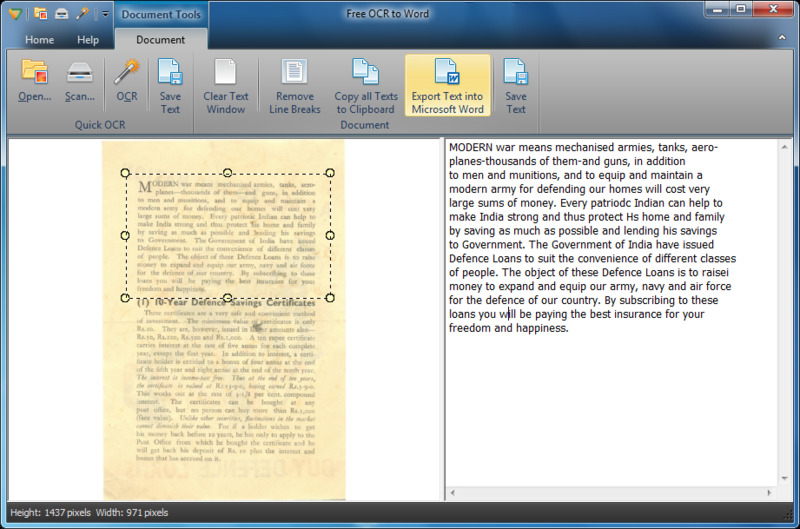 Within few clicks you will have a fully editable copy of your paper document in your favorite word processor. Download to experience this free image to Word conversion utility. 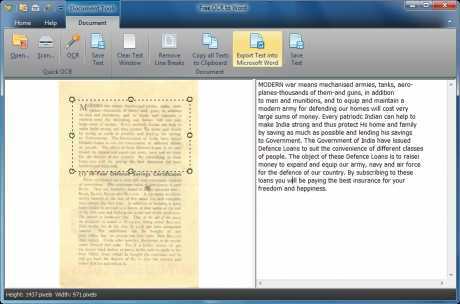 The revolutionary OCR technology makes the OCR conversion achieving 98% accuracy.Free OCR to Word which is completely free provides a server-based OCR solution to convert pictures scanned images and so on to Microsoft Word to create editable searchable files and e-books.  It also helps extract text from anywhere of images that cannot be copied or printed easily to Text files for editing. It is a good way to archive your paper-work and de-clutter your workspace.Connected with multiple types of scanners Free OCR to Word lets you scan paper documents and then convert scanned documents to MS Word documents readable & editable by Microsoft office. Now you can turn all your paper documents into editable and searchable electronic documents and save them in the format of your choice.Free OCR to Word supports almost all kinds of image formats like JPGJPEG TIFTIFF BMP GIF PNG EMF WMF JPE ICO PCX PSD TGA and many more. Any text within images can be output to MS Word or plain text formats.Free OCR to Word converts images to Word within just 3 steps easily: Open Select and Convert. Simply open your images into our OCR to Word conversion window select the text like the lines paragraphs or the whole image you want to extract and then click OCR button to instantly convert your image text into Word.